Researchers have discovered that changes of particular species of intestinal bacteria lead to severe relapsing disease resistant to therapy and even make the return of the disease more likely in patients whose active segments of Crohn's disease have been surgically removed. 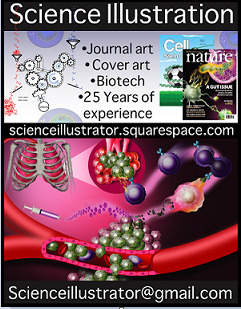 The work is being published in the journal Nature Medicine. The researchers examined the relationship between the intestinal microbes, the way in which the disease developed, and how it responded to treatment in 270 patients with Crohn's disease, 232 patients with ulcerative colitis and 227 healthy individuals. The intestinal samples were provided from two large patient cohorts. The analysis of the intestinal samples showed that the microbes in IBD patients differ significantly from those of healthy individuals. This is mainly caused by increases of some species of bacteria that can trigger or worsen the disease, and reductions in bacterial species that are important for maintaining health in the intestine. The researchers found 18 new sorts of bacteria that could affect the disease outcome. They were also able to show that body habitus, age, lifestyle and the type of treatment had a major effect on these intestinal microbes. Mathematical algorithms were used to process the results in the search within thousands of different sorts of bacteria, to find those networks of beneficial bacterial species that are important to avoid severe disease and to make the case likely to respond to therapy.